Corticosteroid injections are one of the types of injections a patient can get under the guidance of a skilled rheumatologist or physician. 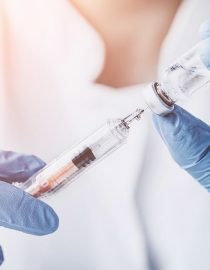 Rheumatoid arthritis injections can provide instant relief and the inflammation present may be stopped in the problematic joint for several months and long-term. 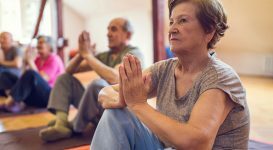 Rheumatoid arthritis is a form of inflammatory arthritis, with inflammation playing a huge role in not only a patient’s quality of life but their outcome. The condition can require different approaches to treating not only the root causes but the symptoms that arise. Inflammation and pain are two symptoms that are seen in chronic illnesses, including rheumatoid arthritis. A patient can experience pain in their joints without inflammation. Majority of the time these two symptoms occur in tandem. 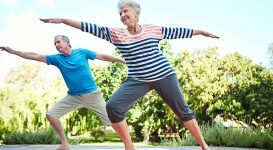 When inflammation is present with pain and is left untreated for some time, it can cause discomfort, limited mobility and increased chances of irreversible cartilage damage. Joint injections are helpful in times of a rheumatoid arthritis flare-up. A ‘flare-up’ is when the symptoms go from a more balanced controlled state to high activity with a physical exam and blood test markers showing signs of this. Injections are used as a targeted approach to a specific area of your body. The most commonly injected joints according to Mayo Clinic is the ankle, elbow, hip, knee, shoulder, spine, and wrist. Smaller joints in the hands and feet are no exception. 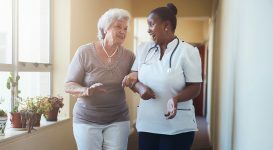 It’s important to know that due to potential side effects, the number of rheumatoid arthritis injections you can receive are limited each year. This is true for joints that are being repeatedly treated. With relief, there can always be a downside. RA injections don’t come without risk or side effects, so that’s why it’s important to take extra care to rest afterward. Everyday Health states that though rare, infections can occur in fewer than 1 in 15,000 corticosteroid injections. It’s a rule of thumb that a joint or muscle can only be injected up to three times a year. After that, your doctor would need to decide the best approach in controlling inflammation for the long-term. 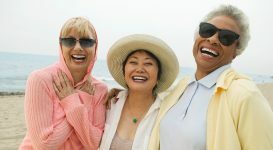 Other risks of receiving injections may include; nerve damage, thinning of the skin and soft tissues near the injection site, pain and inflammation in the joint for a short time, tendon weakening or rupture, osteoporosis, lightening of the skin around the site – to name a few. Quick fixes can be tricky for those living with rheumatoid arthritis. However, it is entirely dependent on how a patient’s disease activity is. 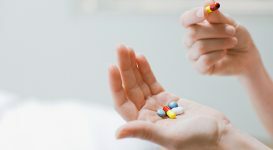 If a patient is considered to be in remission or a low-disease activity state where symptoms are at bay, they can find relief for up to several months. Patience H. White, MD, vice president of public health at the Arthritis Foundation and a professor of medicine and pediatrics at George Washington University School of Medicine and Health Sciences in Washington, D.C says, “a joint injection may only bring relief for a week or two and feel more pain before the pain resolves,” if you are a patient who is having trouble keeping your RA under control. 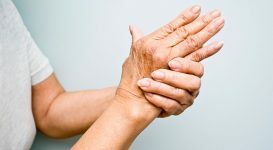 While RA is known to affect the joints, it also targets the surrounding soft tissues such as tendons, ligaments, bursas, and muscles, causing inflammation in and around these areas. Smaller joints can be extremely painful when inflamed, and patients can find it hard to function during daily activities. However, bigger joints are more problematic. 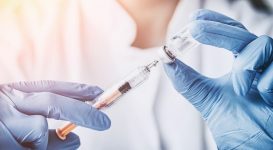 No matter the area of concern, an injection can decrease the inflammatory cells and swelling in a particular joint faster than oral steroids – which take a longer time to get absorbed and used to by the body. When considering having one or more joints injected, it can be helpful to have it done under a guided ultrasound. Ask your doctor’s office if they have an ultrasound tech who can direct the doctor exactly where to go. There isn’t much of a difference between traditional and ultrasound injections. The tech applies a gel directly to the skin to ensure that the images come out clear. This allows a doctor to see where the fluid is located and where the medication needs to be placed. As a rule of thumb after any procedure that is considered to be invasive it’s crucial to rest. Applying ice to the RA injection site and avoiding a heated bathtub or whirlpool, will help decrease infection risk. Showering with lukewarm water is okay, just protect the area that’s been injected. For instance, if you received a few shots in your hands try using dry shampoo for the first day or two. Enlisting a loved one to help wash your hair can take the pressure off of yours. Same goes with bigger body parts. If your knee joint was injected stay off your feet when you can. Many patients with rheumatoid arthritis have seen an occupational therapist before. 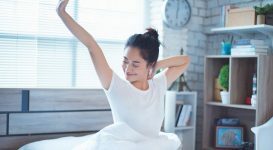 An occupational therapist can provide resting splints and other devices to use after an RA injection, during sleep or daily activities to take the strain off of the joints in question. Ultimately, it’s a decision to be made between you and your medical team if having a corticosteroid injection would be of any use. Once you weigh the benefits and risks, you can move forward to tailoring a plan that will help manage your symptoms and disease activity.